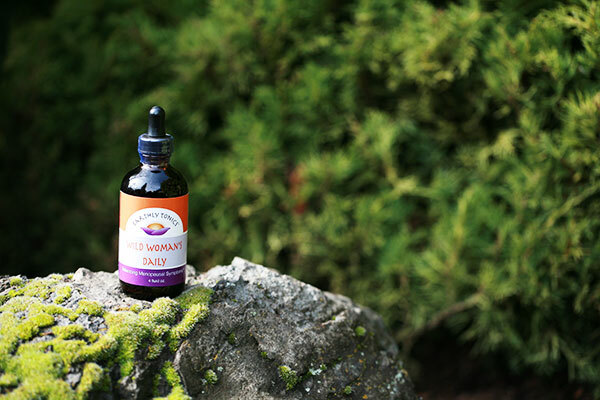 Dr. Sylvia Chatroux developed the Wild Woman’s Daily tincture in collaboration with her colleague and herbalist Gloria Schwartz, ND. Designed to treat symptoms experienced by perimenopausal and menopausal women, this tonic is taken daily to balance a woman’s hormonal status as she approaches and enters the menopausal years. A recipe of several tonifying herbs, Earthly Tonics Wild Woman’s Daily helps modify hot flashes, ameliorate mood dysfunction such as irritabilty and sadness, and rejuvenate sexual well-being. Ya Ya Candy or Cream is a concocted pharmaceutical product that increases the declining libido often experienced during the perimenpausal and menopausal years. It addresses the problem of vaginal dryness and can be helpful in preventing recurring urethritis. Its biggest audience is those seeking libido improvement.